tl;dr Very short. Very sweet, but not worth $20. 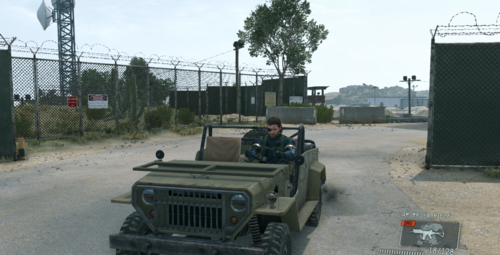 In Metal Gear Solid V: Ground Zeroes, you control Big Boss (a.k.a. 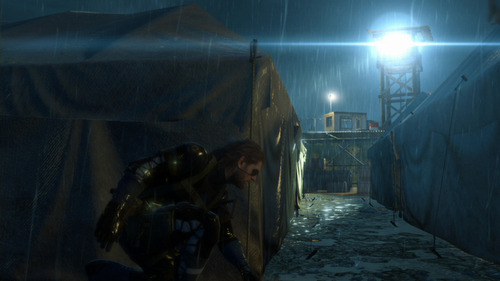 Snake) as he infiltrates a military base and rescues a couple of prisoners. 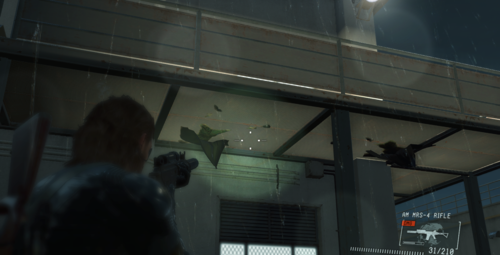 Ground Zeroes is a prelude to The Phantom Pain, the full game that is set to come out in 2015. 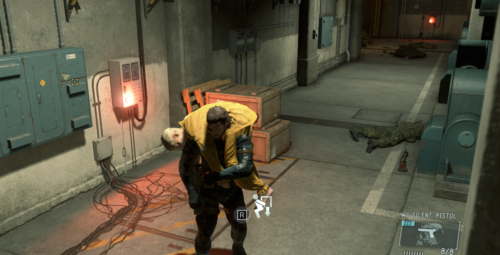 Stealth games are rare, and rarely done well, but MGS games have always been a blast. 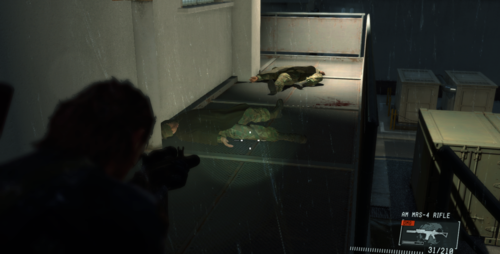 Ground Zeroes lives up to the tradition set by its predecessors and is an excellent stealth game with great gameplay. Sure, you can go full Rambo, but the game rewards stealth higher than violence, and sneaking is usually easier than facing a squad of alerted soldiers. You can kill with silenced weapons (and get a score deduction), put them to sleep with tranquilizer shots, or sneak up really close and put enemies in a chokehold till they pass out. There are searchlights, tanks, trucks, patrols, and security cameras to help give you a challenge, making the game quite satisfying to play. There are also many paths and methods to achieve your objectives, which is admirable for a game which is small in area size and short in gameplay time. Which brings us to the major faults of Ground Zeroes: It is extremely short, and has a single area to play in. How short? You can finish the main storyline in about an hour on your first playthrough, and while taking your time to look around and check out the environment. An hour of playtime is simply not acceptable for the current price, which is $20 on Steam ($30 if you paid the original price on more “cinematic” platforms). The area where the mission takes place is quite small: You can sprint from one end to another in about a minute. If you try and get all the achievements for the game, you will get bored of it very quickly, as you will be redoing the exact same area many, many times (a minimum of 27 times for the awful “Unlocked” achievement). Many people have commented that the main story is short, but the game’s life can be extended with the optional extra side missions. However, the same can be said of any game with extra side missions. And these side missions should not be a reason to ignore the brevity of the main campaign: Some people prefer to just play the main storyline, while others are completionists who want to experience everything the game has to offer. 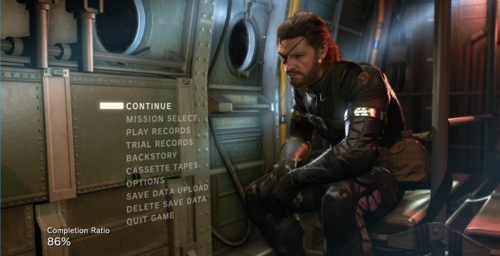 For Ground Zeroes on Steam, there are 6 side missions, each taking an average of 10-15 minutes, so the game is longer with side missions, but by an extra hour or so. More importantly, completionists will enjoy playing the same map over and over, so it is not quite as fun, even for them. It hurts, but after finishing the game (and getting all the achievements), I feel that the game is not worth the asking price. It should have been priced at $5, or given away free to whet your appetite for The Phantom Pain. Oh, and you can play the game on “Normal” or “Hard” settings. These are translation errors. The actual difficulties are “Easy” and “Normal”. Quite good, for a console port. Snake looks good, the soldiers look good, the terrain looks great. Different parts of the military base have a very different “feel”. There are some flaws: Foliage looks bad up close, whenever Snake is in the rain, he looks oiled instead of wet, Chico and Paz’s character models look horrible (or maybe that was intended? ), and there are a few physics bugs (shown below). Overall, these flaws were minor, and easily ignorable. 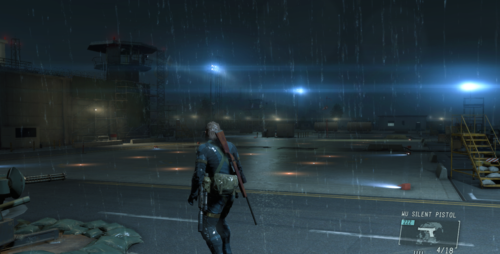 Compared to many other console ports, Ground Zeroes has great graphics. As a modern PC game, it is still quite good looking. While the gameplay mechanics are good, the storyline is not. 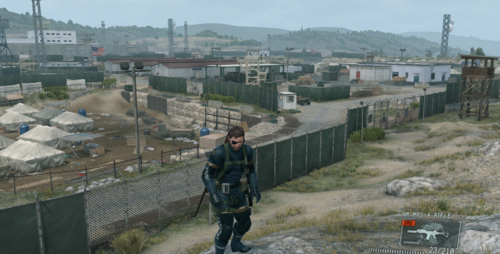 Snake’s mission is to “go and rescue prisoners,” but we are not told much about the prisoners, or why we need to rescue them. Kojima breaks with his tradition of detailed, explanatory cutscenes in favour of short bursts of radio chatter. A little bit of the story is also told during the loading screen and a lot more is in the menu screen, which is a baffling place to put your story. 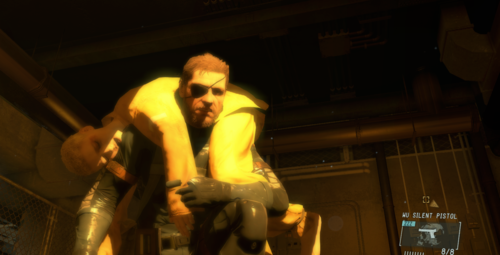 For people who are picking up Ground Zeroes as their first MGS game, the ending might prove to be less meaningful (and maybe incomprehensible), as you have no idea of the significance of that which you lost. If this game was released as a “demo” instead of a game, it would get a very high score. In fact, it might be praised as one of the best demos ever released. It showed off a good game engine, great level design and excellent gameplay. As a result of Ground Zeroes, I have very high faith that The Phantom Pain would be a great game, and am definitely going to buy it when it releases. 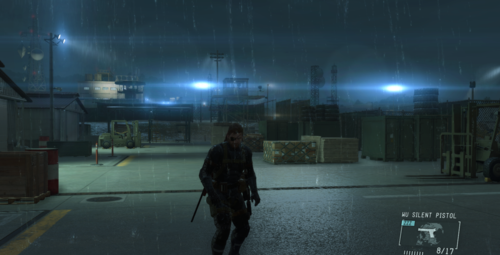 For me at least, Ground Zeroes achieved its objectives fully… if it were a demo. Unfortunately, Ground Zeroes is marketed and priced as a full game. For $20, I expect more than a main campaign that lasts for one hour. Excellent as a demo, subpar as a full game. May be worth it if you are a die-hard ultra fan. For everyone else, wait for the game to be on a steep sale.